​​​Not everyone has the space for a large garden in their yard. 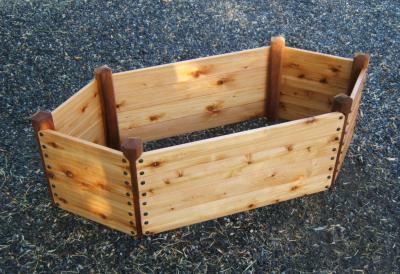 Thankfully, you can still exercise your green thumb by getting yourself a raised cedar garden bed. We have been manufacturing raised garden beds from the highest quality Western Red Cedar at our family owned plant in Hermiston, Oregon. Our beds are naturally safe, long lasting, and easy to use. 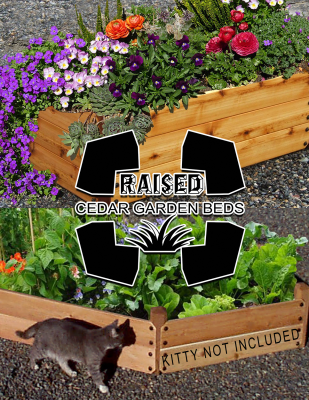 These handmade elevated cedar garden bed kits are small enough for you to use on patios or balconies. They’re also available in various heights and shapes. You can always add more beds to an outdoor, paved, or gravel area to create new arrangements and designs! If you have any questions, please contact us as we will assist you in creating a living space of your dreams! 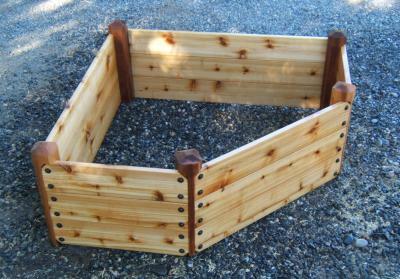 We can also assist if you need help designing a custom bed or complete garden—order yours today. We take every precaution to protect the security of your credit card and personal information by using PayPal for transaction. You do not need to be a member of PayPal to order. We hate junk mail...of any kind! That is why we take precautions to protect the security of your personal information and we will not sell or give out your personal information to anyone. Period! 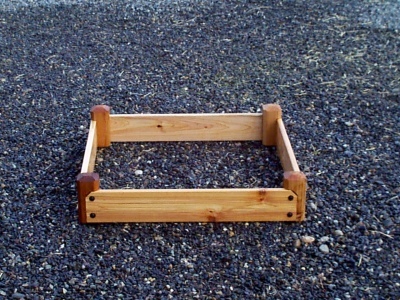 You may return your raised bed kit for a full refund for any reason for one year from the date of purchase. Please call 1.833.642.7336 to arrange for a return and a refund. Due to our availability to order and process our western red cedar, some beds may be delayed in shipment for up to 3 weeks. All prices are subject to change without notification. We occasionally run promotion prices as incentives or limited time opportunities for qualifying purchases made during the promotional time period. Due to the time sensitive and promotional nature of these events, we are unable to offer price protection or retroactive discounts or refunds for previous purchases in the event of a price reduction or promotional offering. Click on the cover above to see amazing garden layouts.